I’m not one to complain. Really. In fact, I’ve received constant feedback that I should speak my mind more often. 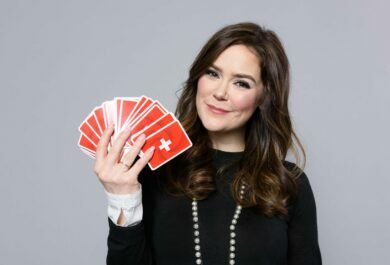 When I was first interviewing for my current role as the Audiology Manager of Custom Products in Switzerland, my future boss asked me what challenges I had fitting Phonak custom products, but I couldn’t think of one thing to complain about. Chalk it up to nerves and a little bit of eternal optimism, but I had nothing. Squat. Zilch. Zippo. But after a year and a half here at Phonak HQ, I think I’m finally ready to talk. If I had the opportunity to have an interview mulligan, this is what I would say: “Phonak calls me too often to say, ‘it can’t be built’”. I am so not interested in calling my patient back after I said I would try to get them something small to tell them that they need to make an appointment, get in the car (or worse get a ride), park, take new impressions etc. There’s just no way. “It’s going to be a tall CIC” is just not good enough when someone wants a IIC product. But what’s less ok is that not only can I not get them the product they want, but potentially I have to appear incompetent as an audiologist too? With the result being a return, exchange, or worse they end up with a hearing aid that lives in the drawer? Nope. If I were still in clinical practice, I would love to fit the Virto B-Titanium. 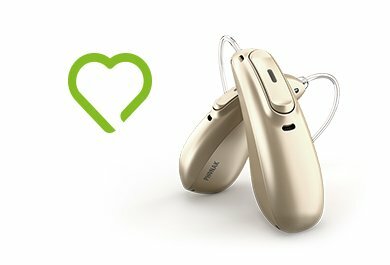 Not only is it the sexiest hearing aid alive, but the 50% thinner shell made from titanium means that it is deeper and still super strong. No more “my dog ate it” walk-ins on Monday mornings. With the newest Virto B-Titanium, Phonak created a FitGuide for the HCP to predict the depth of the Virto B-Titanium while the patient is still in the office. I would have LOVED this back in the day. You’re telling me I’ll be able to see how deep their ear can accommodate an IIC? Sign me up! This is my audiological dream come true. A patient asks for small and I can tell them right then and there if it’s possible; before the impression, before the order, before the phone call from Phonak, before the disappointing fitting, before the exchange, before I look at the calendar and see their name again and know that they’re still not happy. That was the biggest challenge I faced when fitting Phonak custom products and how cool to see Phonak own up to it and come up with a unique solution. In the end, I’m still not a complainer, and that probably won’t change. But what a relief to know that the Titanium FitGuide would have helped generate a few less complainers in my case load too. And who doesn’t want fewer complainers?!? Bravo Phonak! We invite you to read Rachel’s last blog post on why IICs are now a possibility for ‘size-challenged’ canals. And learn more about Rachel who is one of our Faces of Audiology. No comments on “My audiological dream come true”, yet.